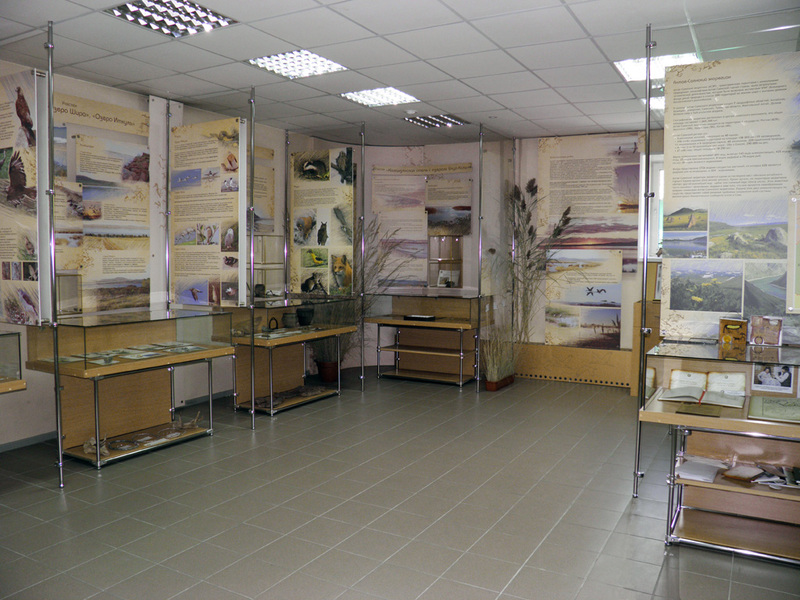 The Museum of Nature of the Khakassky State Nature Reserve was founded on February 19th, 2009. 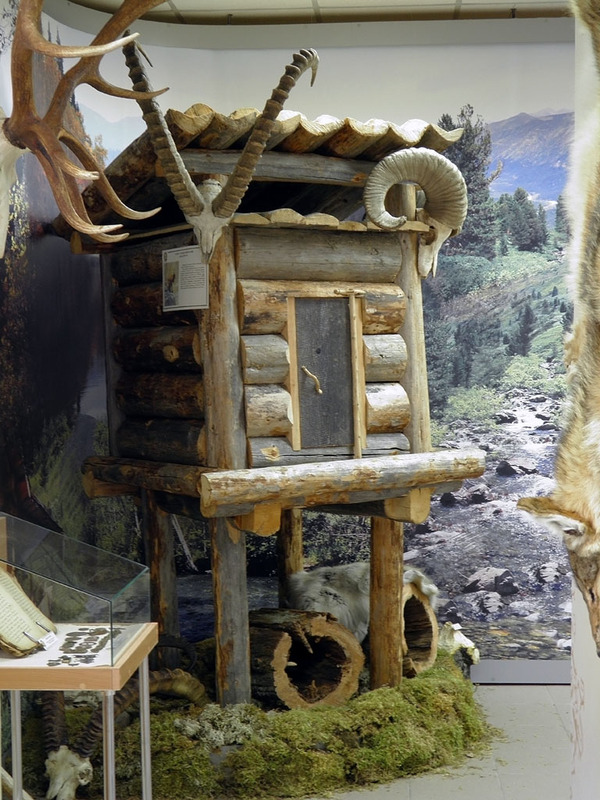 An excursion at the museum starts with the description of the geographical location of the reserve. An interactive map of the Republic of Khakassia demonstrates all reserve’s areas highlighted with different colors. In the General Information sector the visitors get familiar with the history of the reserve, its goals and objectives. Then the visitors learn about 9 areas of the reserve. The Sections of the Reserve sector shows the variety of landscapes, soils, flora and fauna. 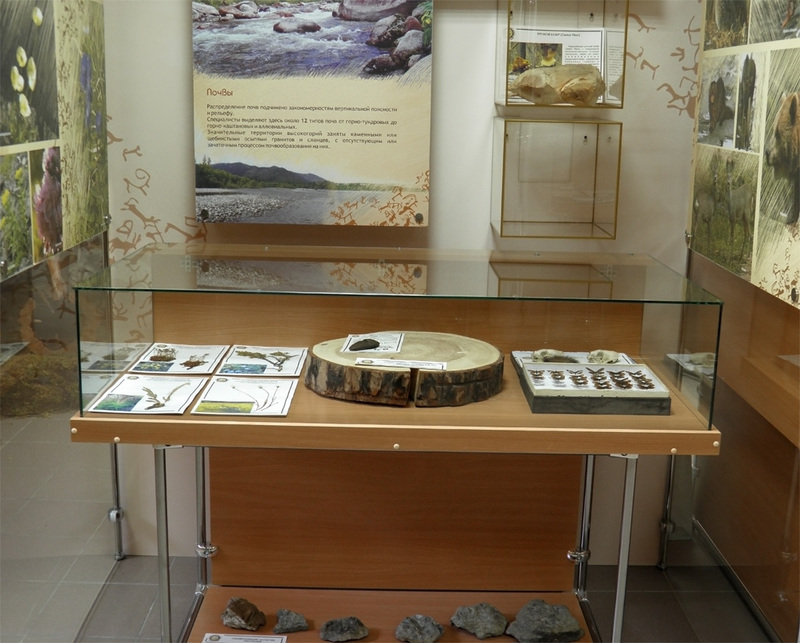 There are information boards, herbarium, collection of minerals, insects, sculls, fells of animals, fossils and archeological finds. The excursion goes on with the story about the wetlands and the Red Data Book. The Red Data Book sector contains information about what the Red Data Book is, what kinds of such books exist in different countries, and when different Red Data Books were printed. Several regional Red Data Books are presented at the exhibition. The next sector is about Agafia Lykova, a woman living on the territory of the reserve. 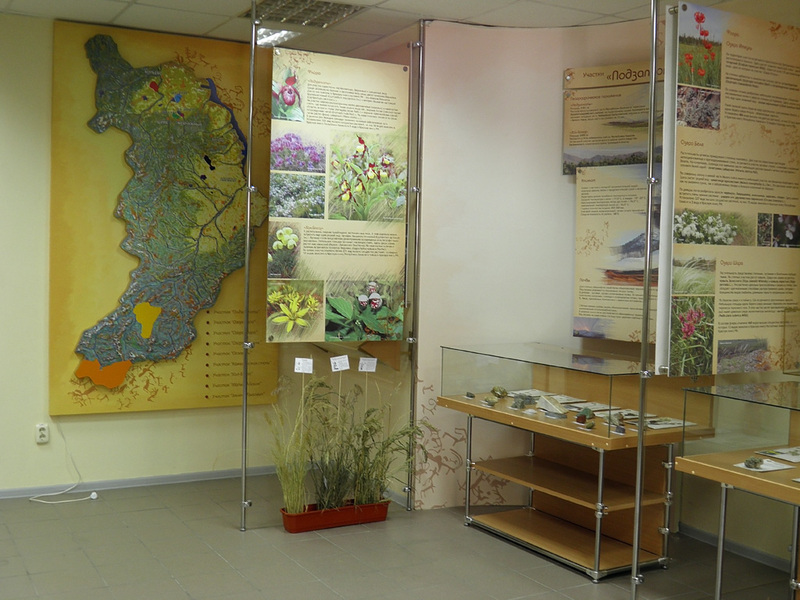 There is a huge (6×3 meters) poster with the views of the Zaimka Lykovykh section, and natural objects from that part of taiga. 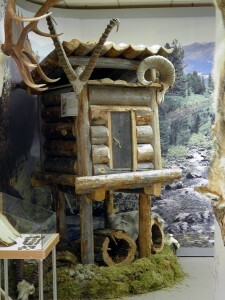 The visitors can look at the meal shop for saving the food—a diminished copy of the authentic meal shop, built by the Lykovs. The information stand is supplemented with visual aids—the Agafia’s personal belongings, letters, and photos. 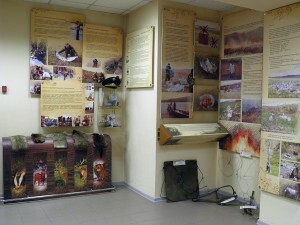 The next sector, Departments of the Reserve, is devoted to the reserve’s team. There are photos, illustrating the everyday work of the Security, Research, and Environmental Education departments. 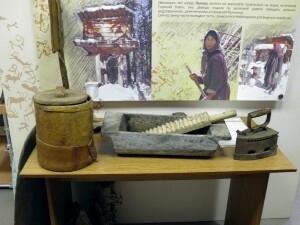 The visual aids let the visitors get to know about the main tools and equipment used by the reserve’s team in their work. In the Threats to the Reserve sector the visitors see photos and learn about poaching, wildfires and environmental pollution. These are the most serious threats to flora and fauna of the reserve. Real hunting weapons are presented there. The Museum is intended for a wide audience—residents of the republic, school children, students, Russian and foreign tourists. Welcome to our museum! We are open on weekdays from 9 a.m. to 16 p.m. To arrange an excursion beforehand, call us at (3902) 35-22-04.